While most people today do not get to see the room pictured in the above image, staff and student workers are well-acquainted with it. The Missionary Research Library, created in 1914, moved to Union Theological Seminary in 1929 after financial difficulties became too much to bear. MRL rented space from Union in Brown Tower, and still maintained its own library. These financial difficulties continued until 1967 when it was fully integrated into the Union Seminary Library. Burke Library became part of the Columbia Library system in 2004. The image above dates from May 1961 and was found as part of the large set of unprocessed material included in the Luce Foundation project. MRL maintained the material, allowing researchers in to the reading room which was presided over by a staff member, shown here. This MRL reading room was complete with a spiral staircase, which staff would use to retrieve some records from above. You can see the staircase peeking out on the left side of the image. Today, these two floors are part of the non-public archives storage onsite. 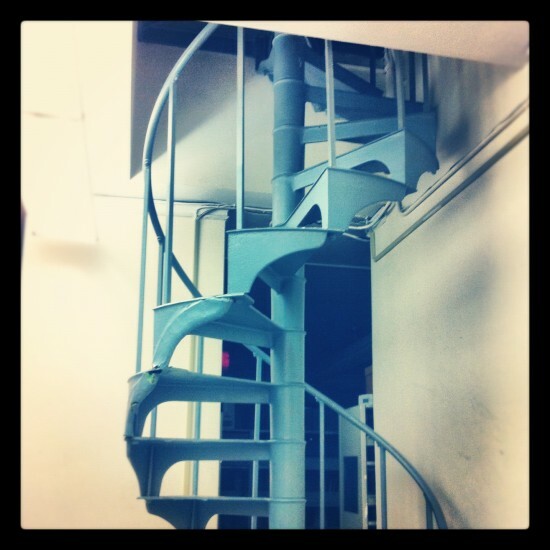 While the rooms look much different, the spiral staircase still stands and is a testimony to times past. 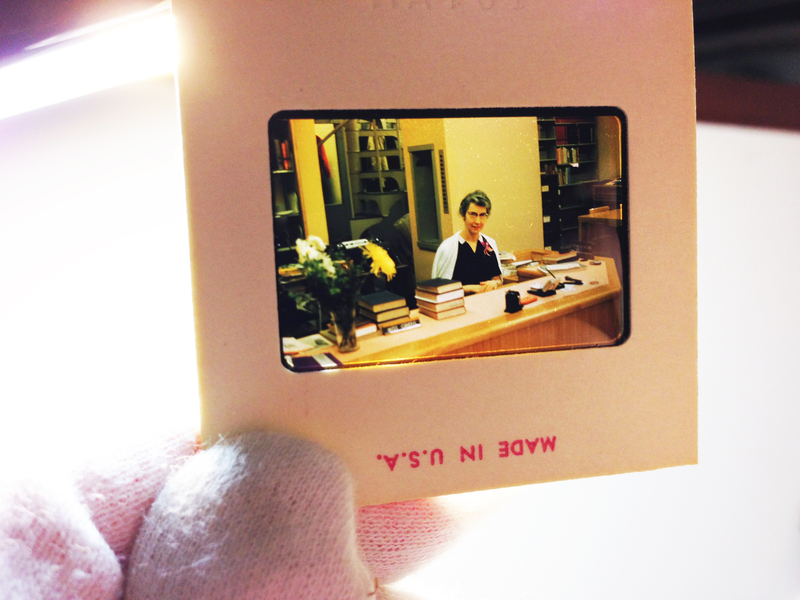 This entry was posted in Collections and tagged Archives, Librarian, MRL, Slides, Storage on February 12, 2013 by Brigette C. Kamsler.